Can You Bail Me Out ... Again? Hand Over The Guns, NOW! 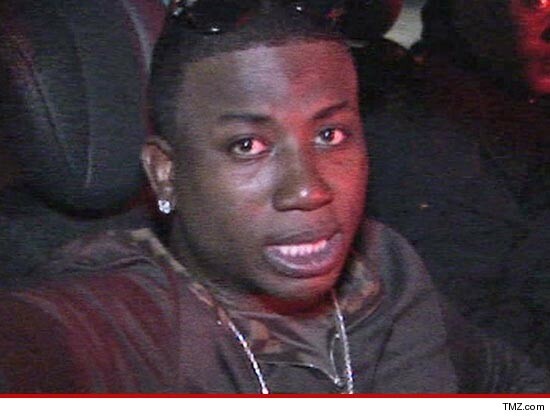 Gucci Mane learned the hard way ... DO NOT shove a woman out of a moving Hummer ... because that woman will sue you and then a judge will order you to cough up almost $60,000 in punitive damages. Gucci was arrested in 2011 after he allegedly pushed a woman named Diana Graham out of a moving Hummer -- all because she refused to go to a hotel room with him. He pled guilty to several charges and was sentenced to six months in jail. Diana then sued the rapper for damages following the incident ... claiming mental anguish, pain and emotional distress. A Georgia judge recently ruled in her favor ... a default judgement because Gucci failed to show up in court and submitted false testimony. The judge awarded Diana $58,161.24 for medical expenses, lost wages, pain and suffering. The judge also signed an order allowing Diana to go after the rapper's cars, bank accounts and other assets to settle her debt. Calls to Gucci's rep have not been returned.